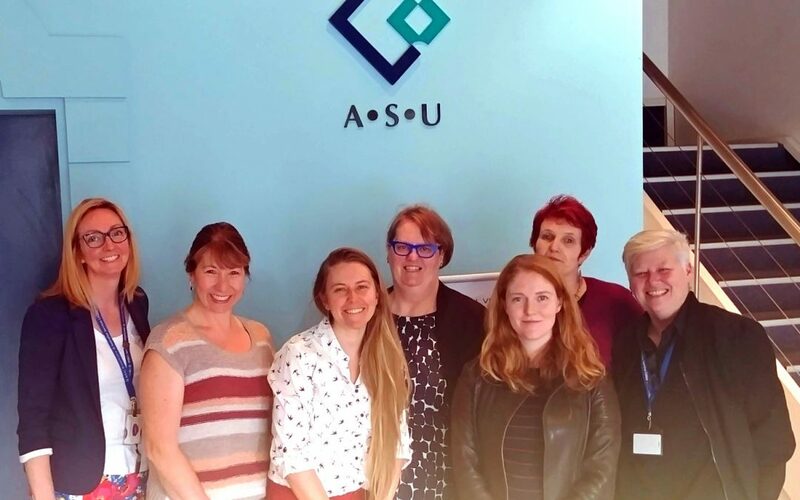 A few weeks ago, a group of ASU women met with the Shadow Minister for Financial Services Clare O’Neil to discuss the topic of women and superannuation. ASU Assistant National Secretary, Linda White, chaired the meeting. Staff and elected officials from the National and Victoria/Tasmania Authorities and Services Branch of ASU were in attendance along with three female members representing both Local Government and Social and Community Services. Ms O’Neil also met with an ASU delegation in March this year around these issues and was most interested in an update. The meeting heard from each woman, telling her own story about super and then relating common themes amongst the people they work with. The members represented their workplaces, including Home and Community Care (Whittlesea Shire Council), Brotherhood of St Laurence and Women’s Information and Referral Exchange, as well as their lived experience. Discussion ranged from examples of low-hour casual and temporary work which failed to attract super (below the $450 per month earnings threshold), older women still working at age 70, women being adversely impacted by relationship breakdown, non-payment of super from some employers, disadvantage because of career breaks to have and raise children and a strongly held understanding that when money is tight, the day-to-day reality of meeting household costs was a priority over superannuation contributions. The meeting acknowledged other issues such as adding super contributions on Paid Parental Leave, a move to 12% contribution, a lifting of the minimum threshold and strategies to support those in need of ‘top up’ payments were part of the solution for workers, particularly older women. This is all very well for future women, but what about those in their 50s now with so little super? Hi Tammy, Women approaching the end of their working lives with lower superannuation savings is a big issue and it was raised at the meeting with the shadow minister. Union representatives made it clear that any incoming Labor government needs to fix this problem. I agree Tammy, with time out nurturing children and supporting partners so they can advance their careers we are the forgotten ones. Any changes should be retrospective to support those who have propped up the economy with only child endowment payments, no first home loan grants and have done things the hard way. It would be great to have a bonus payment into our super prior to retirement if we get to??? Well done union colleagues! If anyone can help us I think it’s Clare.